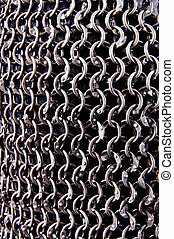 Chain mail. 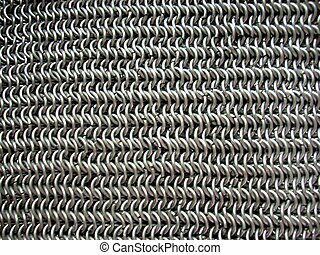 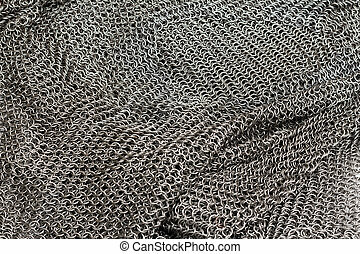 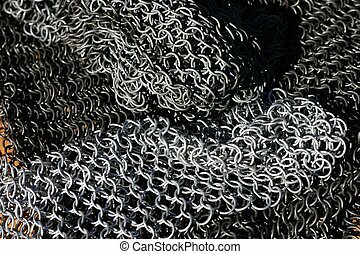 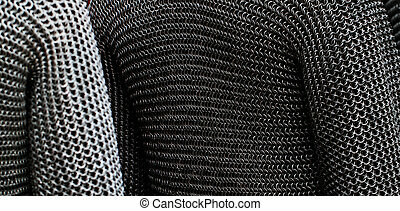 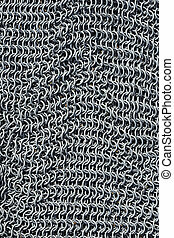 This is the texture of antique chain mail. 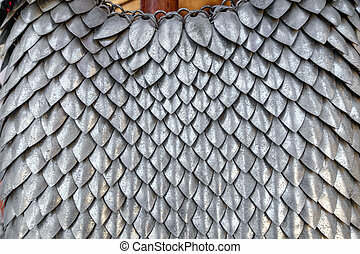 of course, itâ€™s a hand-made article. 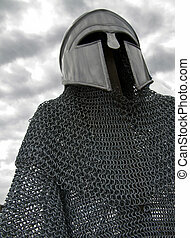 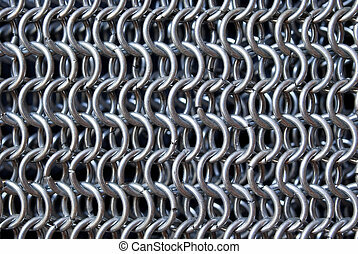 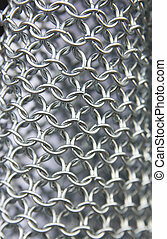 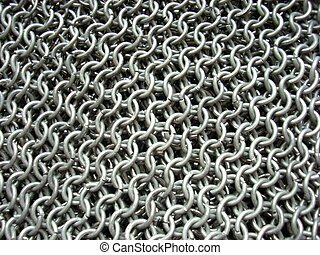 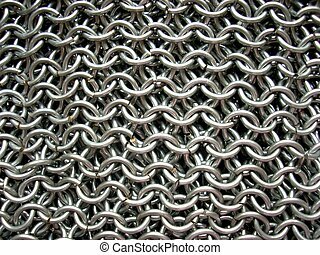 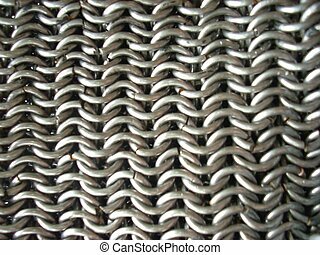 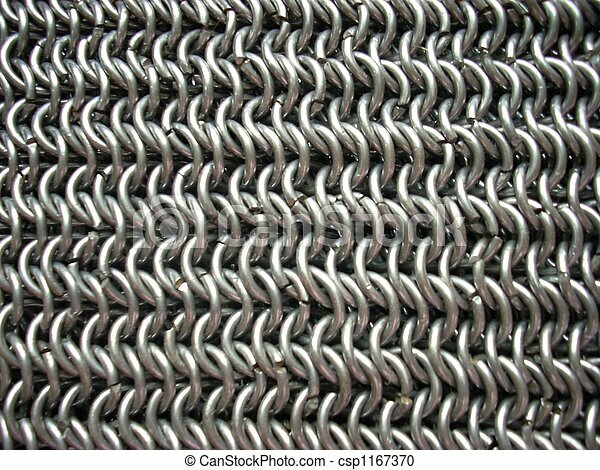 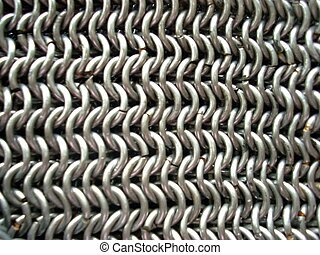 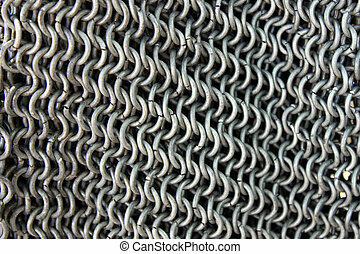 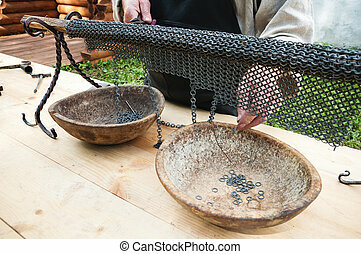 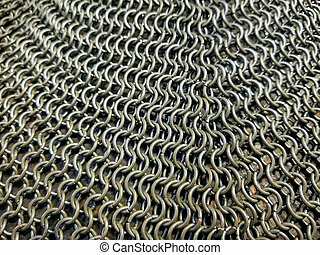 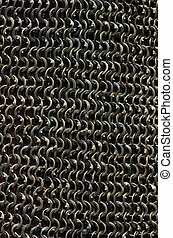 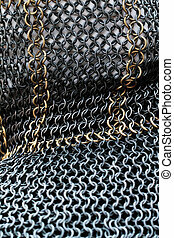 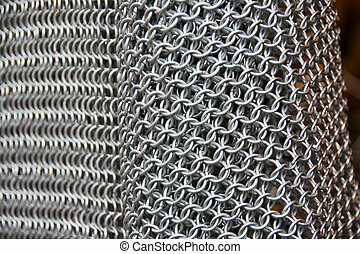 Metal chain mail armor close up frame.